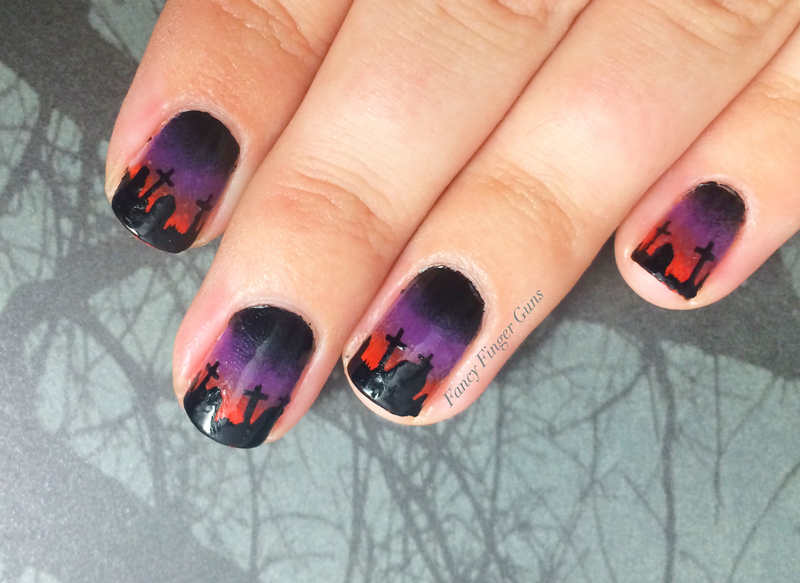 Halloween Mani #13 – Holy Crap, I Made It! 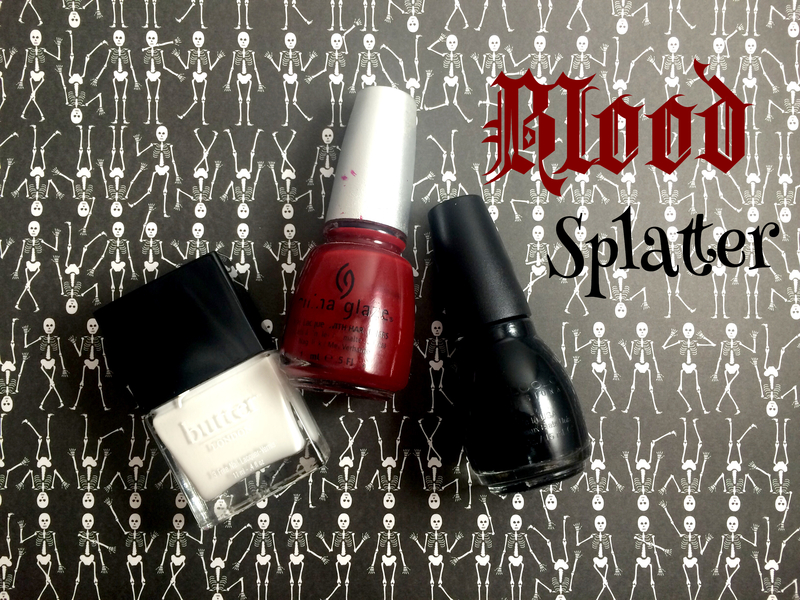 The past few years I’ve always done a splatter for my actual on-Halloween mani, so I wanted to keep up with that tradition. 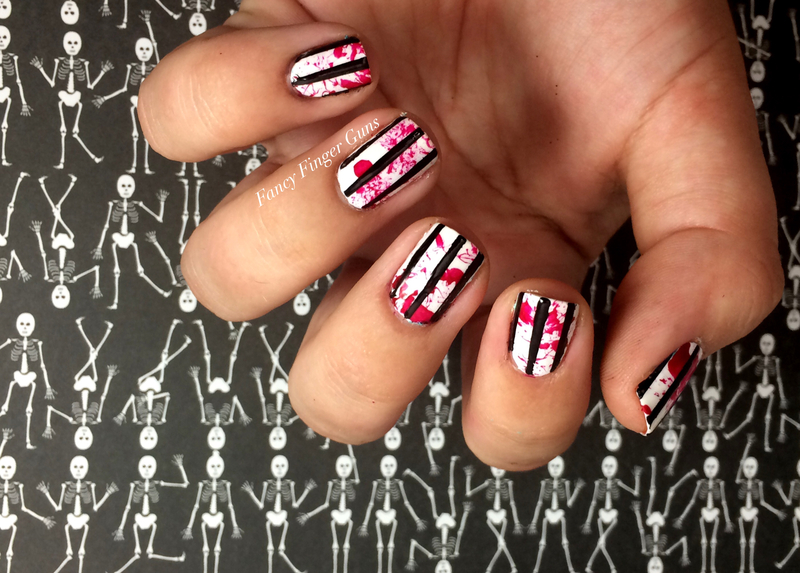 I added another favorite Halloween design, though – black and white stripes! I put down two coats of bL’s Cotton Buds first, then after that dried I applied one of the thin stripe nail vinyls from KBShimmer with my curved tweezers, pressing them all down firmly once they were in place to make sure no polish seeps under the tape and ruins the look. Then I applied one coat of Black On Black and quickly removed each piece of tape and was left with a fun stripe that reminded me of something very Tim Burton-esque. 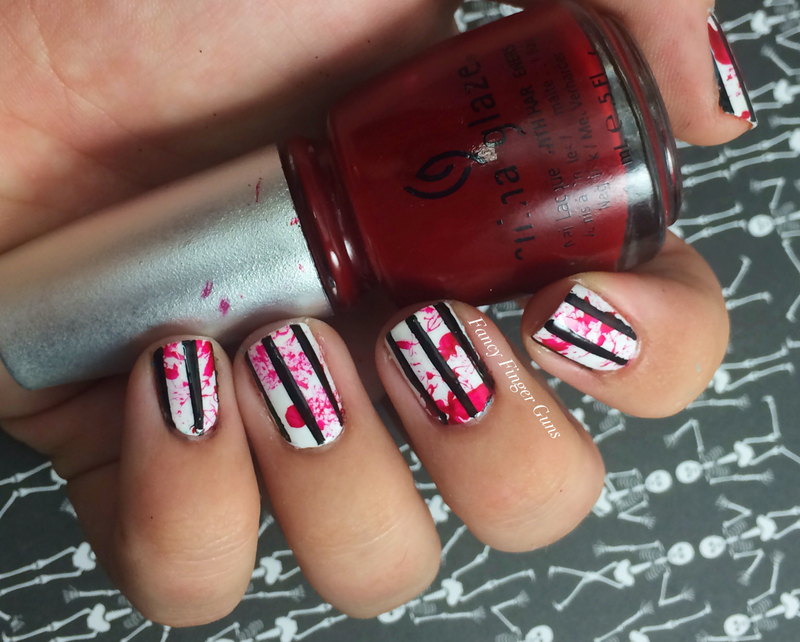 After the stripes on each nail were done and dry, then came the fun part – splattering! I wanted to use a brighter red since I’d just watched Sleepy Hollow and was inspired by the bright red, almost paint-like blood they use. Using a regular drinking straw instead of my usual coffee stirrer, I put some polish at the end and then blew through the top to get these perfectly gory blood splatters, and it worked wayyyy better, let me tell you! 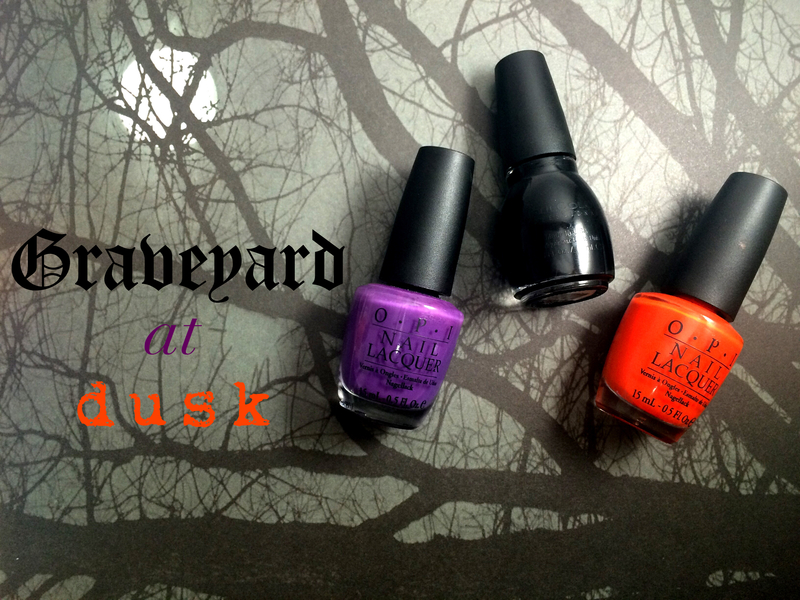 Halloween Mani #12 – Graveyard At Dusk! 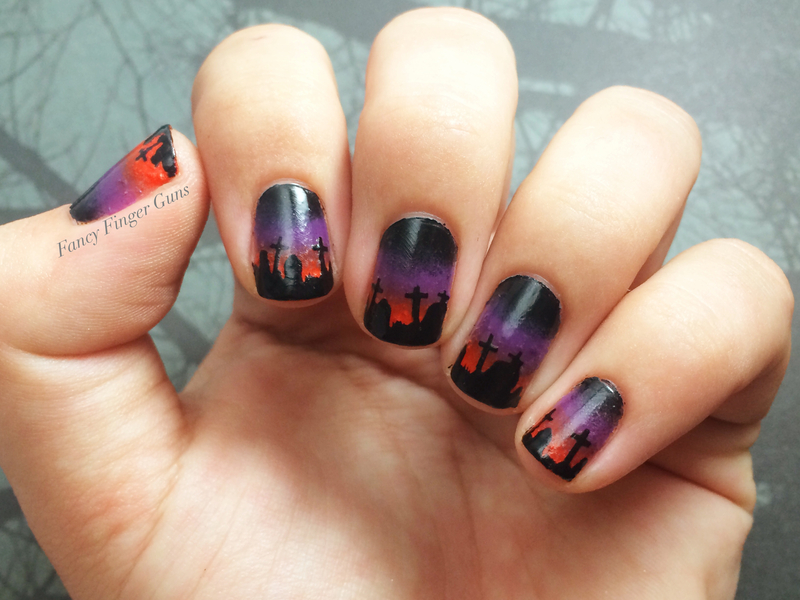 I had a few issues with this mani – I should’ve made the orange part go higher up, so the graveyard “shadows” were more visible; I should’ve used a darker purple at the top instead of black again; and most importantly, I should’ve paid more attention and kept my sponge damp so I didn’t get all these tiny pieces that got stuck and made my polish bumpy. :( I don’t even think the gradients themselves are all that great – on my ring, the colors just look like horizontal stripes. Sighhhhhhhh basically everything went wrong with this look, but in spite of the flaws being super glaring to me, I still kinda like it for some reason. 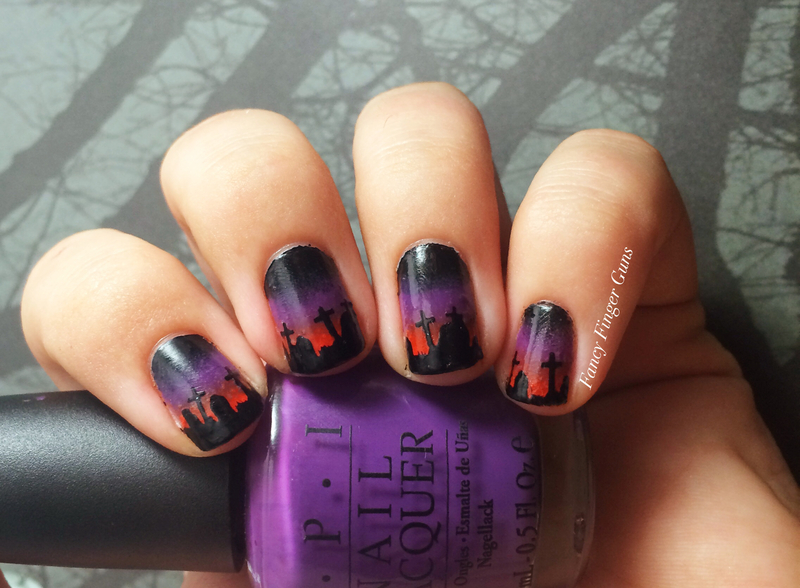 Although I wish I could’ve change the colors slightly, I do like the general idea of the color scheme I went for – I think dusk is a very spooky time of the day, when you can actually see the last bits of sunlight slipping away by the second, and I loved the idea of a graveyard right before total darkness sets in and the spirits start to come out. Mwahahahaha! 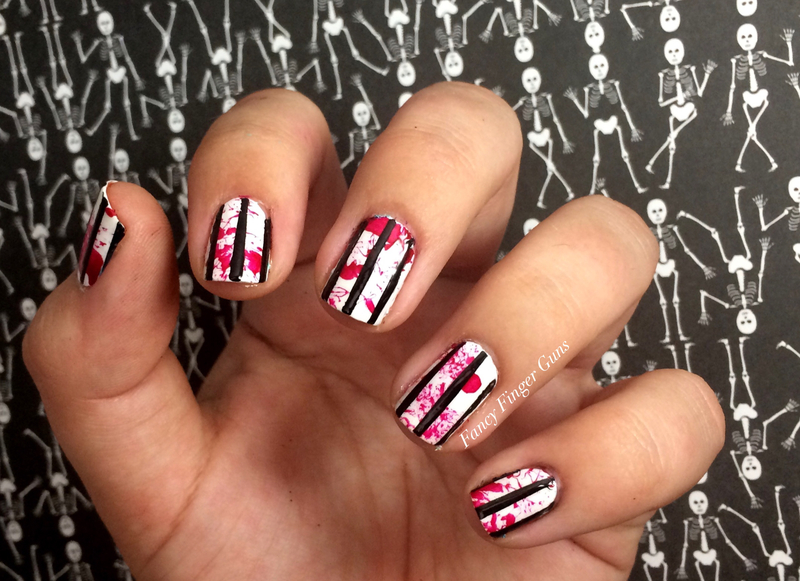 My skin is super blown-out because I was trying to show the colors of the mani better.